The Power of Storytelling | Think. Innovate. Educate. What makes a story compelling? What makes it powerful? We all love a good story but are we good at telling them? I’m fascinated by people’s stories – where people come from, how someone launched their product or career, how a company navigated change. I always learn something about the person and the company when I hear a story – don’t you? One only needs to check out the growth of companies like TED or BIF to understand our fascination as humans with stories. How do we learn to tell good stories? Is it a skill we can teach and learn? I think so. My students tell stories through what we call learning expeditions. They learn about a problem, research the problem, and look for actionable solutions for change. They are guided through several iterations – testing and redesigning solutions before arriving at one they think will solve the problem they chose to research. At the end of the learning process, students present those solutions to an authentic audience. Next week, the second graders will be presenting their solutions for restructuring the recycling effort at my school to the school board of directors. A few weeks ago, the fourth graders presented possible solutions to the city parks department that would improve the local playground and make it more accessible for disabled children. Children can and do learn to tell compelling stories for change. One of my favorite stories from a student came from Camille Beatty. I was fortunate to hear Camille’s story at Business Innovation Factory last year. Listening to her tell her story about how she used her passion to launch a robotics business at age 10 inspired me as an educator and a storyteller. Adults can tell compelling stories, too. My friend, Tim McDonald tells amazing stories that inspire people to end hunger at No Kid Hungry. Chris Brogan tells stories that inspire others to grow their capacity as owners, something I’m working on. My friend, Angela Maiers inspires countless people by simply telling them they matter. I was invited a couple of years ago to tell a story at TEDxPeachtree about why we should re-imagine how we view educators. I spoke about why connecting with them via social media sets the stage for cross-pollination of ideas across business, arts, and education sectors. Not a bad story but I’d like to learn how to tell better stories, more compelling stories. Stories that inspire change for good. So, what’s your story? 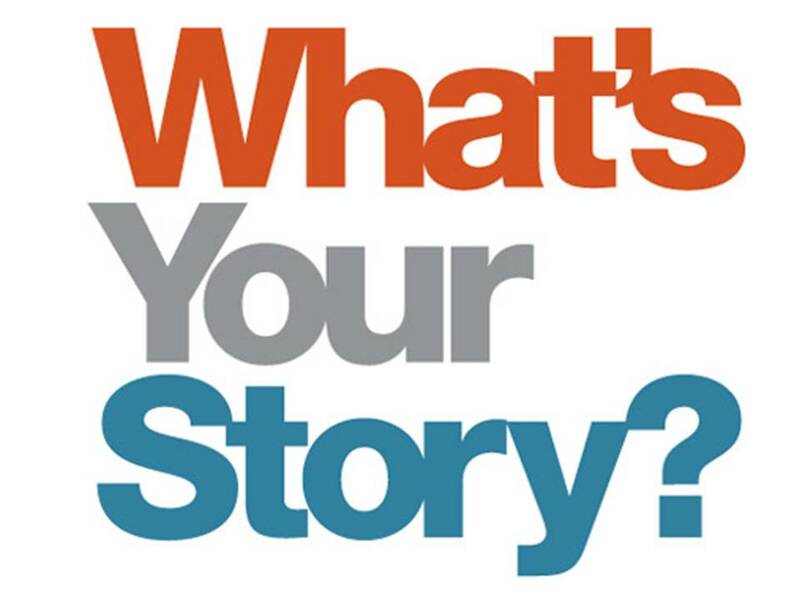 What stories do you tell as a leader that inspires action toward what you value or a desired outcome? I’d love to hear your story. I love the TED talks and am always trying to improve my own stories and help others with theirs. So great to see you have your fourth graders doing this at such a young age! A very important skill today.